London. There is so much happening in the city all year round. From art exhibitions to theatre from sporting events to music, the city is always busy. You are sure to find an interesting event no matter what your tastes are. We are lucky to be staying just outside the city in Enfield which offers good connectivity to London. And this means it is easy for us to travel to London on a very short notice should we come across an interesting event. Both Mr.H and myself enjoy going to live events. We feel it gives one the chance to experience the passion and zeal that can only be seen and felt at a live event. So, we try to attend live events whenever our respective schedules permit. I love expos, music events and carnivals while Mr.H prefers comedy shows and theatre. While the type of events we both enjoy differs, our choice for the best venue for live events is unanimous - The O2 in Greenwich. 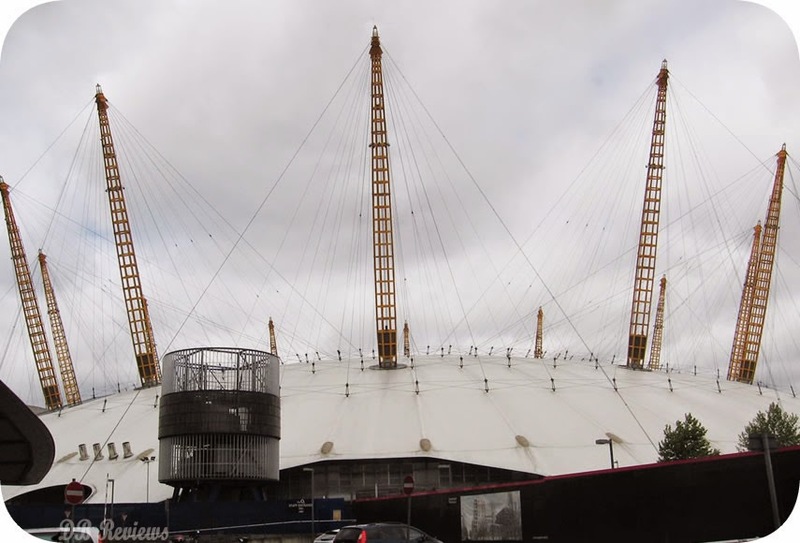 Since its opening around 7 years back the O2 has not only been an important landmark in the London skyline but also one of the most sought after venue for numerous concerts, shows and sporting events. The O2 has hosted a lot of performers like Beyonce, AR Rahman, Bon Jovi, Bryan Adams, Shakira and Paul McCartney to name a few. O2 has also hosted tennis tournaments, NBA games, boxing matches and was used for gymnastics events at the 2012 Olympics. 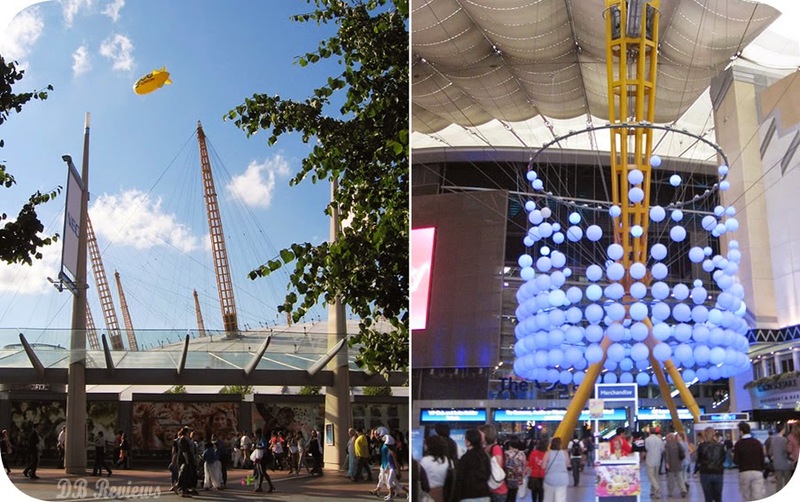 We have been to a few events at the O2 and my favourites have been 'Walking with Dinosaurs' and the 'Global Smurf Day'. The latter because I dressed up as a Smurf for the very first time. This was sometime before The Smurfs 3D hit the cinemas. One of the shows that both myself and Mr.H are looking forward to attending at the O2 is the Ant & Dec - Saturday Night Takeaway on Tour. Ant & Dec need no introduction I am sure. The duo of television presenters have presented many TV shows like Push the Button, PokerFace, Red or Black? and the Ant & Dec's Saturday Night Takeaway to name a few. The Saturday Night Takeaway which started way back in 2002 is a variety show which had a very successful run until 2010. After a short hiatus, the show was back on the TV in early 2013. Now the team are taking the popular show on a nationwide tour. The Ant & Dec team will be travelling throughout UK and holding live stage shows in some of the best venues across the country. They will be visiting 12 cities I think and in London one of their chosen venues is The O2 Arena. This will be a wonderful chance to see Ant & Dec and experience the Saturday Night Takeaway live on stage. The live show promises loads of entertainment, many special guests and lots of amazing prizes as well. The tour will be stopping at The O2, Greenwich on 29th and 30th August 2014. You can book your tickets for the Ant & Dec's Takeaway on Tour online on The O2 website. So folks, are any of you going to the Ant & Dec's Saturday Night Takeaway tour?